Go straight for about 100 meters on Sukhumvit 49/14. Once you see “House and Home” condominium and a parking lot on the left, turn left and enter the small soi (side street). 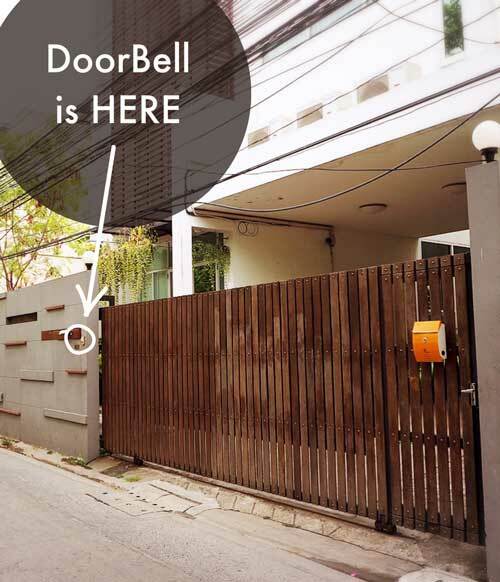 When you arrive at the house with the brown wooden gate, please ring the doorbell (see picture). *Please make a reservation before your visit. *Please note that we do not accept credit card payments.